Made in Kentucky, our small-footprint QUICK TURN UNIVERSAL (QTU) 350MSY Multi-Tasking turning center completely redefines the quality and productivity standards of value-based turn/mill machines. 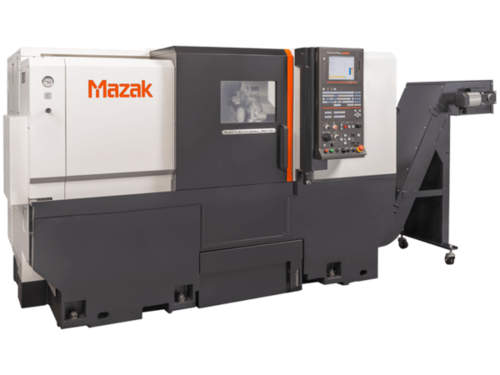 While simple in its design, the machine has several innovative features and functions that bring unmatched efficiency, accuracy and affordability. The machine employs two turning spindles for DONE IN ONE performance and incorporates a live rotary tool turret for milling, drilling and tapping operations. And, through its rigid, precise Y-axis turret motion, the machine is capable of machining above and below centerline.